When Jacob had cooked stew, Esau came in from the field and he was famished; and Esau said to Jacob, “Please let me have a swallow of that red stuff there, for I am famished”… But Jacob said, “First sell me your birthright.” Esau said, “Behold, I am about to die; so of what use then is the birthright to me?” And Jacob said, “First swear to me”; so he swore to him, and sold his birthright to Jacob. Then Jacob gave Esau bread and lentil stew; and he ate and drank, and rose and went on his way. Thus Esau despised his birthright. I’m always intrigued by references to food in the Torah, and this passage is one of my favorites. 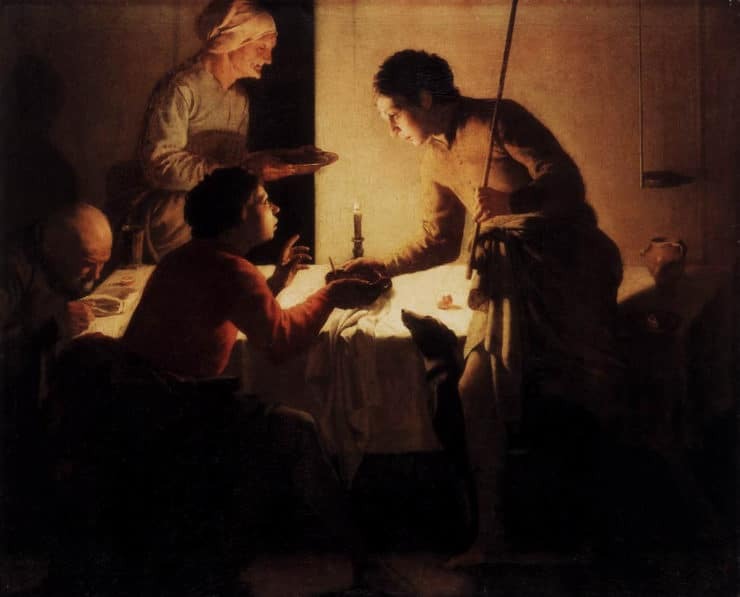 In the passage, Esau sells his birthright to his younger brother Jacob for a bowl of lentil stew. I’ve often wondered how this stew tasted– it must have smelled delicious for Esau to consider selling his birthright. In ancient times, the birthright was a sacred position belonging to the firstborn. 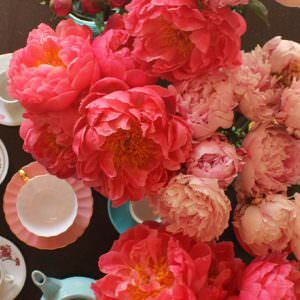 The family name and titles were passed along to the eldest son, as well as the largest portion of the family’s inheritance. In the case of Esau and Jacob, birthright was particularly significant, since the holder of the birthright was next in line to carry on the family lineage of the patriarch Abraham. Yet Esau sells his valuable birthright to his brother Jacob for a simple bowl of lentil stew. Either Esau was truly famished, or that must have been some stew! …the round lentil symbolizes death: as the lentil rolls, so death, sorrow, and mourning constantly roll about among men, from one to the other. 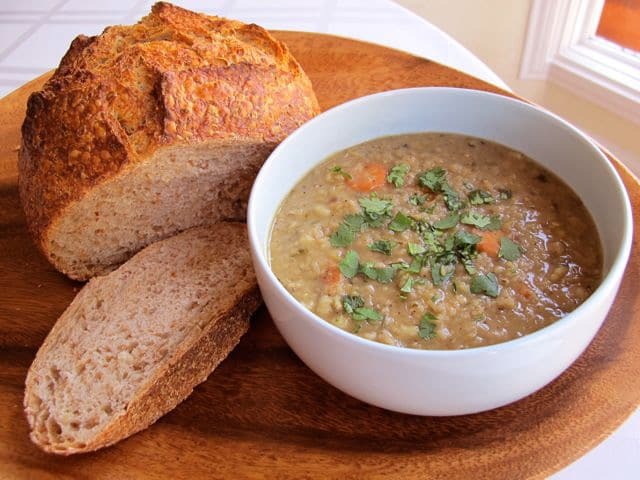 Bread was in the biblical phrase the staff of life, but next in importance in the diet of the biblical age was pulse, such as lentils, beans, and peas, which could be made into a pottage or used to supplement bread in a variety of ways… Lentils, which are mentioned four times in the Bible, appear to have been domesticated in the Near East, where carbonized seeds have been discovered dating from 7000 or 6000 B.C.E…. During the Israelite period, cooking pots were made of earthenware and were placed on clay stands built in a horseshoe shape, the opening being used to light the fire under the pot, or food was cooked in pots and suspended from tripods. Both stews (nezid) and soups (marak) of pulse and other vegetables were prepared in these vessels, while garlic and onions were probably used in a similar way by the Babylonians to add flavor to the resulting dish. Barley was a staple food in the diet of the ancient Israelites. During my visit to Israel last summer, I met with ancient foods expert Dr. Tova Dickstein at Neot Kedumim Biblical Landscape Reserve. She explained to me that barley was the chief grain cultivated in Biblical times, and was eaten more frequently than wheat. Barley was ground and made into bread or cooked into stews. I’ve added a bit of barley to thicken Jacob’s stew and make it a complete protein source, but it you prefer a more soup-like consistency you can leave it out. Hyssop and sumac spices were common in Ancient Israel, but they may prove difficult to find in your local grocery store. Hyssop is mentioned in the Torah as a cleansing herb, used for purification rituals. I buy hyssop in bulk from an online spice company because I love its unique flavor (somewhere between parsley and mint). I’ve never seen it in a grocery store, though, except as an ingredient in za’atar spice blends. If you can’t locate hyssop, parsley makes a fine substitute. I found sumac at my local Whole Foods– it has a somewhat lemony flavor. You don’t need it in the stew, but it adds a nice layer of flavor. You could substitute 2 tsps of lemon juice if you wish, but be aware that lemons were not known to cooks in Biblical times. 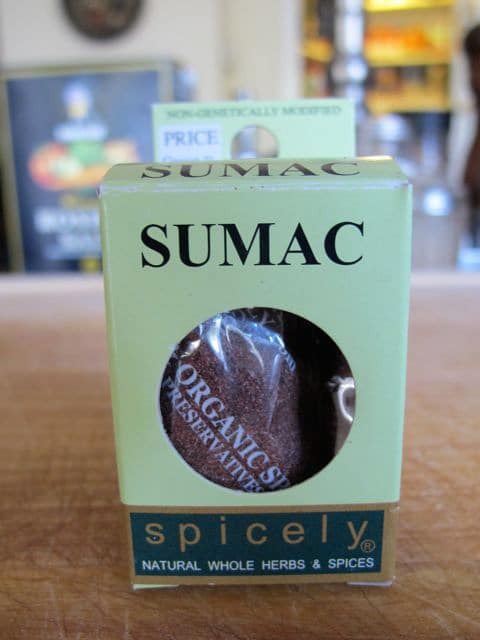 Spicely brand Sumac can be found at Whole Foods. It’s organic and kosher certified, but it contains added salt, so season with care. While the stew that Jacob cooks is clearly described as “red,” no spices that I know of from this time period would tint the stew red. Sumac has a reddish tint, but it should only be used sparingly because it has a pretty strong flavor. I have used red lentils for the recipe, but they cook up a light brown color. I suppose you could add some paprika to achieve a more reddish color, but paprika was not a known spice to the ancient Israelites. At any rate, this stew is delicious. 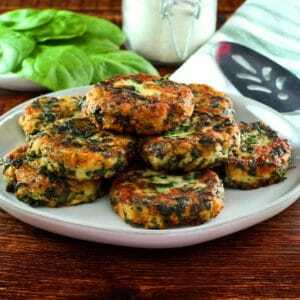 Make it with vegetable broth for a vegetarian pareve meal. Chicken broth adds a nice flavor, though chicken and other meats were considered luxury foods in ancient Israel, so Jacob’s stew was probably vegetarian. It’s a simple and tasty meal, perfect for a cold winter afternoon. Bete’avon! 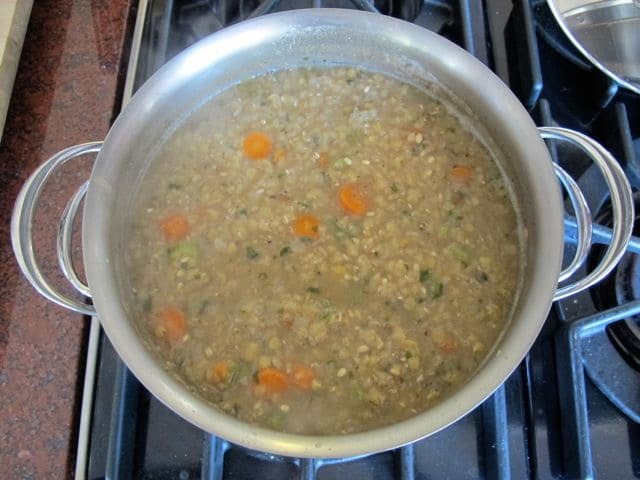 Gluten Free Modification: Omit the barley for a more soup-like texture, or substitute 1/4 cup brown rice for the barley. 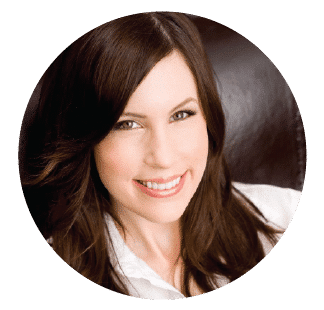 Rice is not a Biblical-era grain, but it makes a delicious substitute for those struggling with Celiac or gluten intolerance. Roughly chop the cilantro. 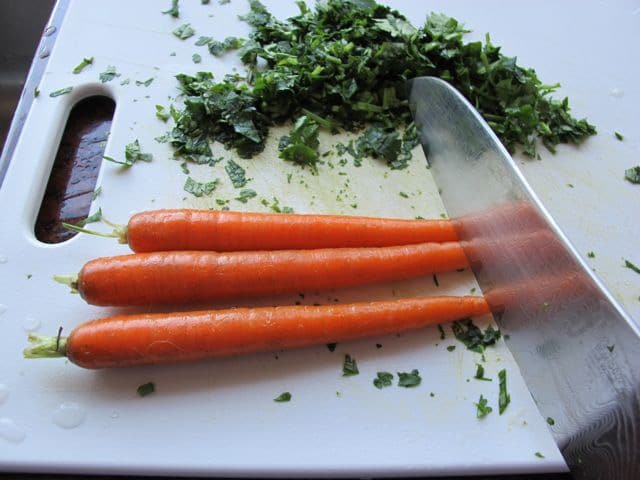 Scrub the carrots, then cut them into chunks (do not peel). Cut celery into chunks, including leaves. Reserve. In a medium sized soup pot, heat olive oil over medium heat. Add diced onion and saute till translucent. Add garlic, carrot chunks, and celery. 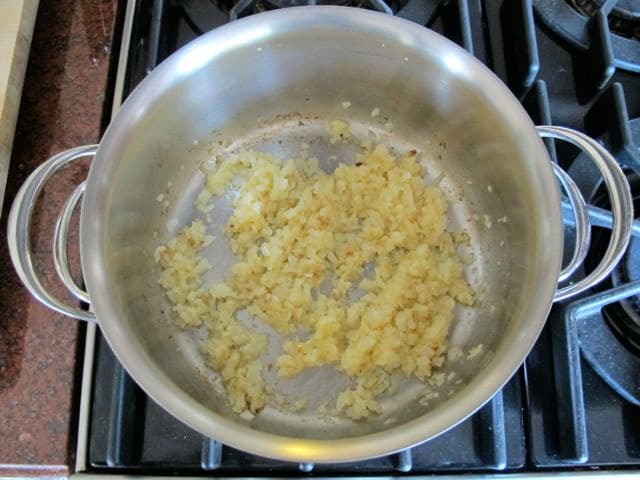 Continue to saute till onion turns golden and ingredients begin to caramelize. Add red lentils and barley to the pot, stir. Cover mixture with 2 qts. of broth and bring to a boil. Reduce heat to a simmer. 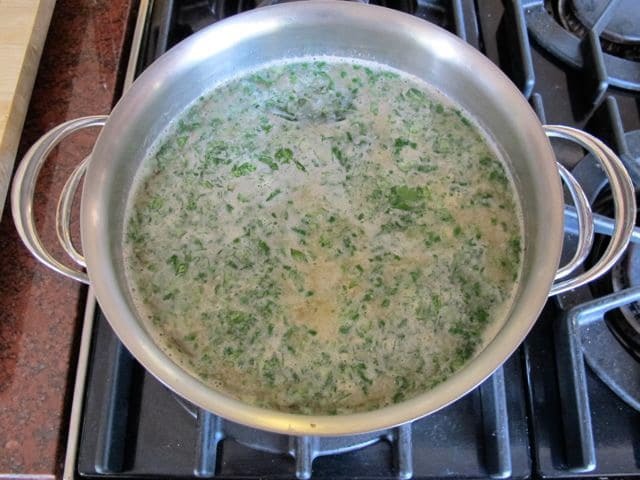 Add 1/4 cup of the fresh cilantro to the pot along with the cumin, hyssop or parsley, sumac (optional) and bay leaf; stir. Cover the pot and let the stew simmer slowly for 1 1/2 to 2 hours, stirring every 30 minutes, until barley is tender and the stew is thickened. 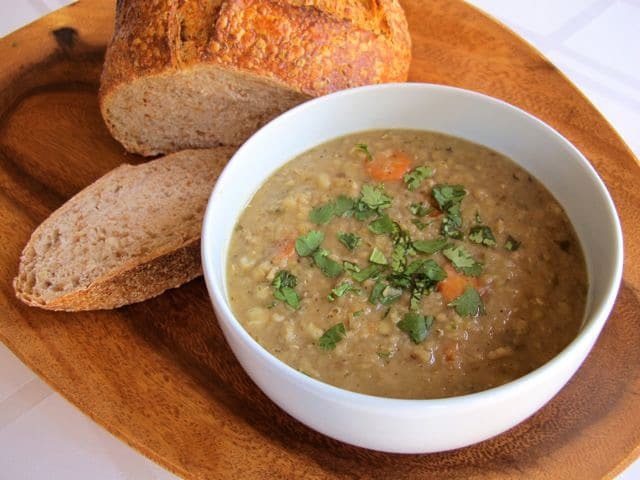 The best lentil soup ever!! You just read my curious mind.Wonderful.i want more of these recipes.